The Hit Air Vest is an innovation in equestrian safety. Air Jackets have been used for motorbike riders for numerous years now and have proven invaluable for improving safety and reducing serious injury. The introduction of Air Jackets into equestrian sports has been an overwhelming success and the increased protection offered will undoubtedly ensure that they become as common place as wearing a riding hat. Hit Air Vests are super lightweight and flexible to offer complete freedom of movement when not inflated. In the event of a fall and becoming seperated from your horse the Hit Air Jacket will inflate to offer protection to the neck, spine, chest, ribcage, lower back and vital organs. This equestrian airbag creates a shock buffering system for the body that offers maximum protection and helps to prevent injury. The Hit Air Equestrian Air Vest will inflate in 0.25 seconds to ensure it is fully inflated before contact is made with the ground or other obstacle. Once your Hit Air Vest has inflated the CO2 canister must be replaced before being used again. Hit Air Vests work differently from rival products in that the air bags inflate outwards instead of inwards, ensuring the jacket can have a closer fit when not inflated. This Hit Air Vest comes complete with a saddle strap that attaches to your stirrup bars and a lanyard that connects your air jacket to your saddle (via the saddle strap). One CO2 canister is also included and a full instruction booklet that should be read prior to use. Replacement Hit Air Canisters are available to purchase and only Hit Air Canisters should be used in Hit Air Jackets. 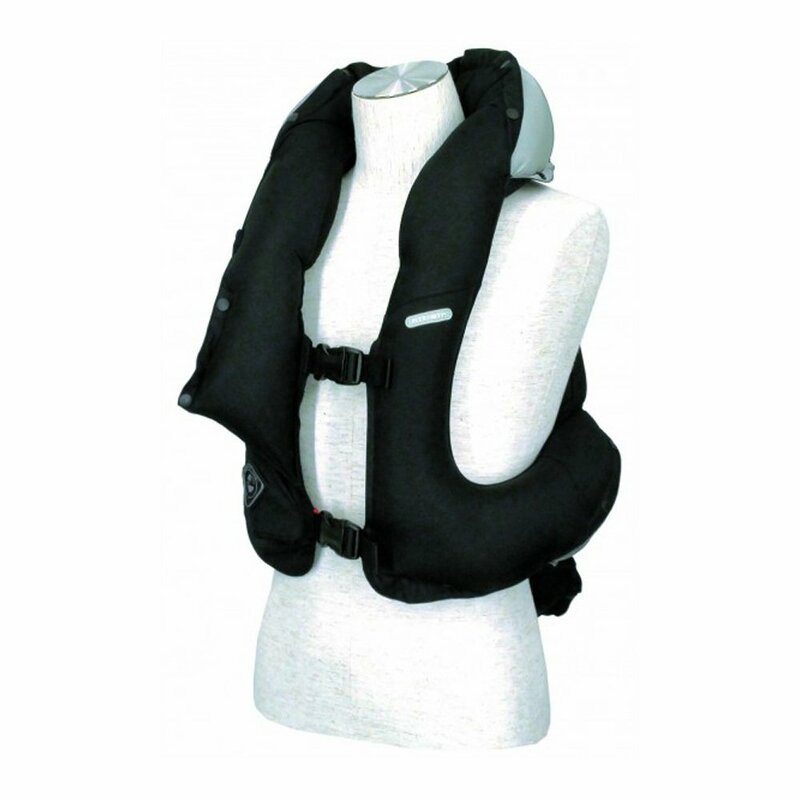 The Hit Air Vest is fully CE certified and conforms with 89/686/EC*96/58EC and EN 340:2003. It has also won numerous awards for safety innovation in equestrian sectors.